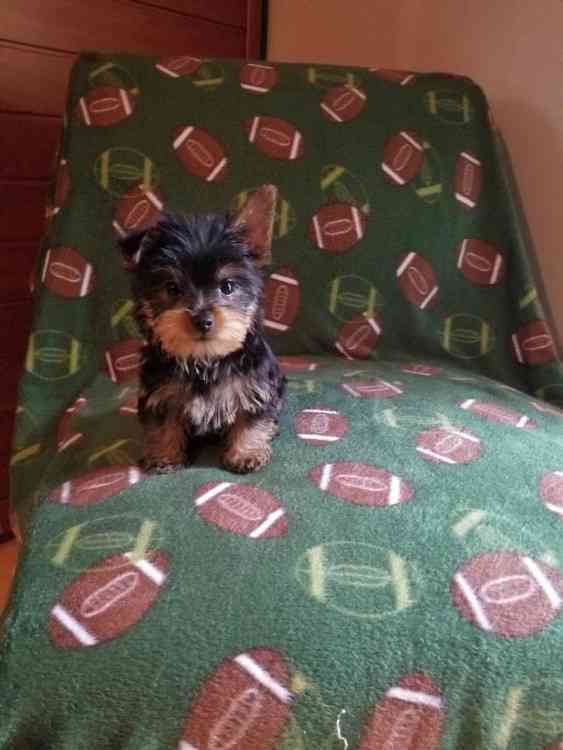 Beautiful male $ female Yorkie puppies for Re-homing! Incredibly Sweet!! 100% Pure Yorkie puppies male && female Puppy..very sweet with kids & all animals..just loves everyone & loves to Play! :)Sweet, beautiful, playful and very cute! They are all up to date on shots and potty trained. They're love bug and really loves kids. They know potty outside, in your house, treats, etc. There is a re homing fee.